Having tasted most of the popular Bak Kut Teh('BKT') in Singapore, I will hardly have a Bak Kut Teh in a Hawker Centre or Food Centre. 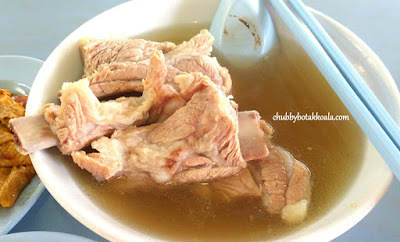 Reason being, I don't like to be disappointed with bland soup plus dry and chewy pork ribs. I like my BKT to be peppery, slightly cloudy white broth and robust with a sweetness derived from the pork. When eating BKT, LD and I will always try to order the prime ribs, so we can enjoy the perfect bite of ribs. 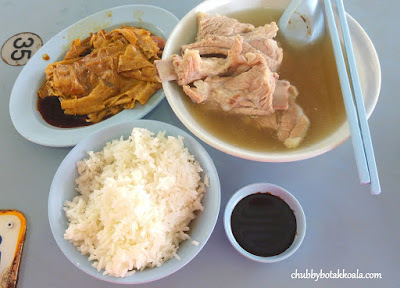 Surprisingly, I always want to give Seng Kee Bak Kut Teh in Chong Boon Food Centre, Ang Mo Kio a try. On the weekend, this section of the food centre will be packed and about 20 plus table there will definitely order something from Seng Kee. Not sure what to have for breakfast, I decided to give it a try. Spare Ribs ($6), Bean Curd Skin ($2) and Rice ($0.50). The broth is peppery, sweet and robust. The pepper is strong but just enough to warm your stomach not to offset. The sweetness come from the pork that is just appetizing. The spare ribs is just juicy and succulent. It has the right balance of meat and fats yum yum. 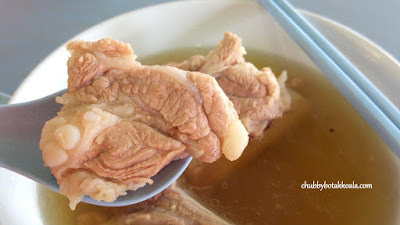 The beancurd skin is stewed until it is soft, yet still retain the slight crunchiness to it. The dark sauce is slightly watery, however it is salty enough to flavour the beancurd skin and even producing a touch umami flavour. 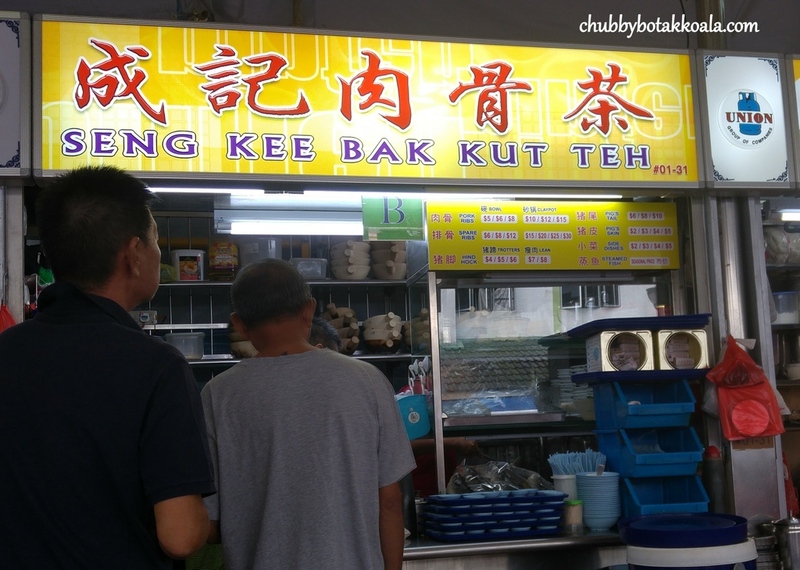 Like the traditional version of BKT, Seng Kee only served white rice with its BKT. Not youtiao here. They have two other signature dishes which are pig trotters and steamed fish. Unfortunately, I have not manage to try both this time around. This stall is not a self service stall. So you just place your order, let them know your table number and your food will be delivered to you. Overall, Seng Kee served a good Bak Kut Teh. In my personal opinion, their BKT is even comparable to some of the popular BKT store in Singapore. So if you are around Ang Mo Kio area give Seng Kee Bak Kut Teh a try. Cheers! !